Microsoft is putting the focus on stylus input in its Windows 10 Anniversary Update with Windows Ink. The company seems to think that the goal is to cater to the substantial number of people who still use pen and paper to take notes and put the pen “front and centre” for the user. 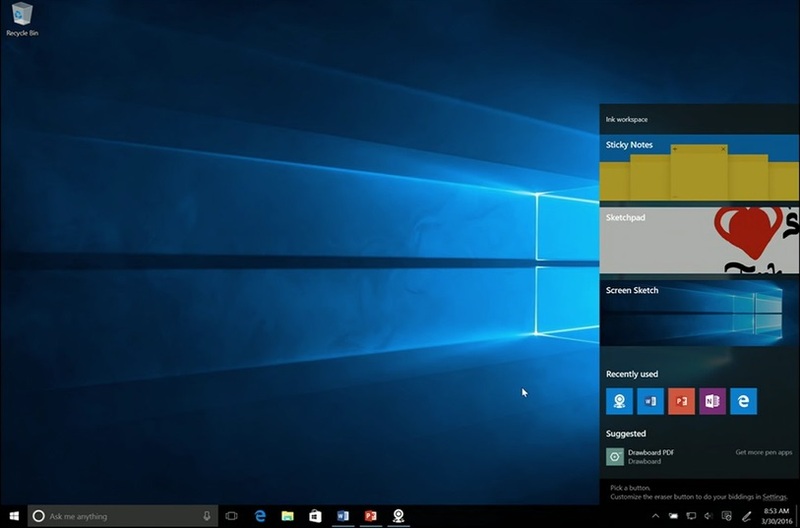 Windows Devices Group Product Manager Bryan Roper demonstrated integration between Ink, Windows Sticky Notes, and Cortana. Microsoft’s AI assistant will be able to read notes written down and create the appropriate contextual reminder on the calendar. Ink is also being integrated into the Maps app to allow users to simply draw on maps to set waypoints, measure distance, or set navigation destinations. 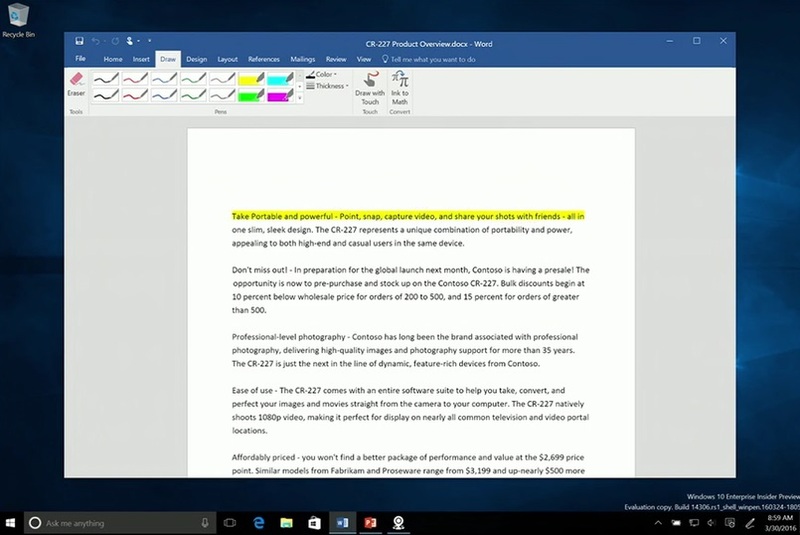 Microsoft’s Office productivity suite will receive Windows Ink features as well. 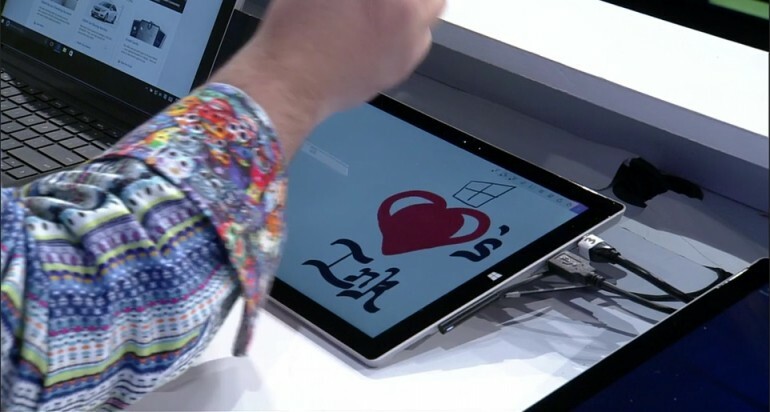 Users will be able to use a stylus to interact with documents like they would with a piece of paper. Roper demonstrated text being deleted by crossing it out, while the stylus can also be used as a highlighter. An Ink API is also being released to allow developers to integrate stylus input into their own apps. This might not matter as much for those of use running on machines without touch interfaces, but it show Microsoft’s current focus on mobile platforms. Interestingly, this technically means that styluses will work with TVs due to the fact that Microsoft Universal apps are heading to the Xbox One. Provided someone releases a touch enabled TV.